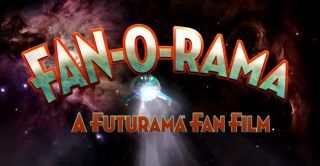 Still from the trailer for "Fan-O-Rama," a live-action "Futurama" fan film. Good news, everyone! The beloved animated series "Futurama" is getting a new life, sort of, via a live-action fan film. "Futurama" inspired a passionate following during its tortuous seven-season TV run, which began on Fox in 1999 and, after several additional stops and starts, ended on Comedy Central in 2013. Many of the show's fans still long for another comeback — and a few of them are actually making it happen. Dan Lanigan and his colleagues at the production company Cinema Relics are bringing Fry, Leela, Bender and the rest of the "Futurama" gang back in a self-funded film called "Fan-O-Rama." "No other show/movie/breakfast cereal offered the complex combination of characters, story, setting and creative breadth that would allow us to explore the uniqueness of the human condition and societal mores and social structures pertinent to our modern sensibilities while also featuring a creepy lobster-squid monster," the team wrote in an FAQ, explaining why they embarked on the project. Q: Aren't you ashamed of yourselves for twisting our beloved cartoon into this monstrosity?